Hello Everyone! I'm a new member and my knowledge about rocks, minerals, and crystals are very limited. I recently found a very interesting piece of carved rock while out hiking. 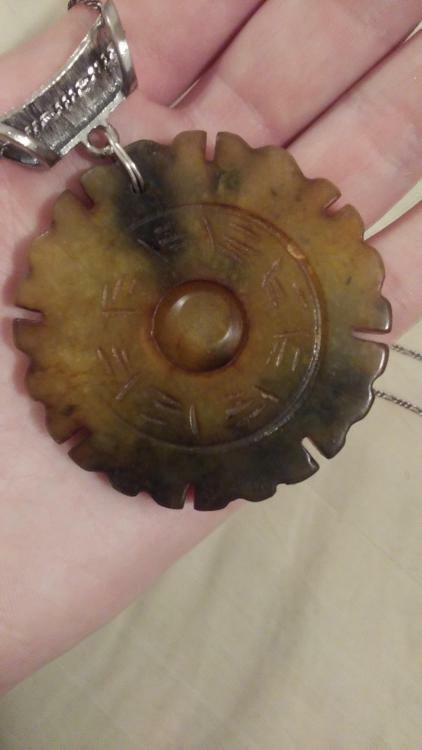 I'm not sure what type of stone it is, or what the symbols mean, but I drilled a hole in the top and made it into a necklace. I was just hoping someone might be able to tell me what type of stone it is! I'm not so sure that you should have drilled a hole in it . You might have offended some kind of ancient sun god. All in all it's a good find. Might be plastic, just how heavy is it and does it seem pliable or more ridged like stone? Symbols kind of look like Runes.....in my opinion. It is pretty heavy and it doesn't feel like plastic. 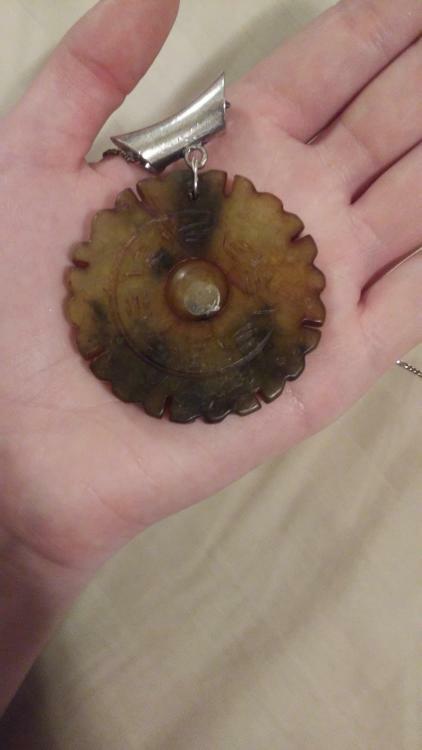 The center can be turned and when I do that it has the same feel as rubbing two random rocks together. Very coarse kind of grainy and rough. I thought they might be runes too. But I couldn't find any that were exactly the same. It is the same symbol repeated. Looks like an "E"
It looks Chinese and I don't mean Ming Dynasty. If it is stone it appears to be common nephrite with a lot of inclusions. 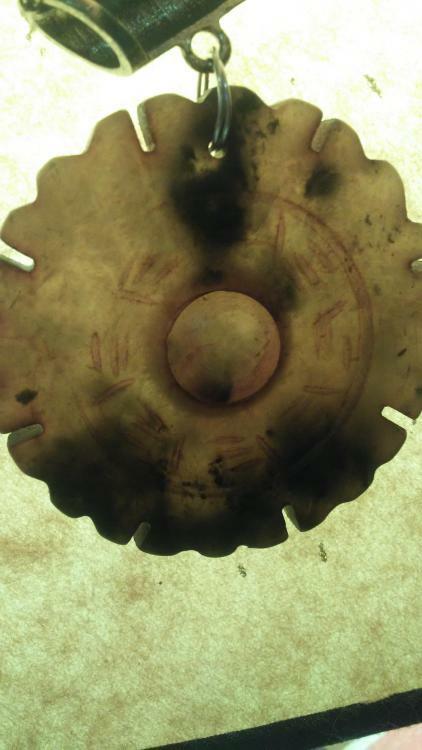 The carvings in it are machine made, (moto tool). sorry its just a common nice looking piece of modern jewelry. wear it and enjoy it.